Yeah, It's Been Awhile . . .
As many of you are aware, the former radio show in which I co-hosted, Cardboard Connection Radio, came to an end in the 4th quarter of 2014. After close to 600 episodes, Doug Cataldo, Russ Cohen and I, simply broke up the band. We are eventually planning a way to get those archived episodes back online in some format. How and when that happens is anybody's guess. I am also no longer a contributor for the Cardboard Connection site. I still do occasional freelance articles for Worthpoint as well as copy writing for the backs of cards for Leaf Trading Cards. If you have collected any of the Pop Century or Metal Draft products over the last few years, you've seen my work firsthand. In March of this year, myself and Ivan Lovegren of The Breaks, YouTube fame, launched the hobby's first LIVE streaming web series, titled, Go GTS Live - The Hobby's Web Show. Much like Cardboard Connection Radio, we have on guest from trading card manufacturers and other industry personnel. With the hobby being such a visual topic, our plan for Cardboard Connection Radio was to turn it into a Web based video show. This is the culmination of those efforts, unfortunately without my longtime business partner Doug Cataldo. However, Russ Cohen, frequently appears on the show with news from various prospect themed events including the NHL Draft and NBA Rookie Photoshoot. With the ability to now show products we are talking about, we routinely break boxes of new and recently released products and give the BIG hits away to viewers LIVE on-air. The show broadcasts on Thursday nights at 9pm EST on Livestream.com. Come and join us! If you can't catch the LIVE episode, we upload a recording of the show to YouTube the following day. The former Cardboard Connection Radio - Facebook, Twitter and YouTube accounts now all direct to Go GTS Live. So I am still very much involved in the hobby and have been blessed to find work in an industry which I truly have a passion for. I still avidly collect. 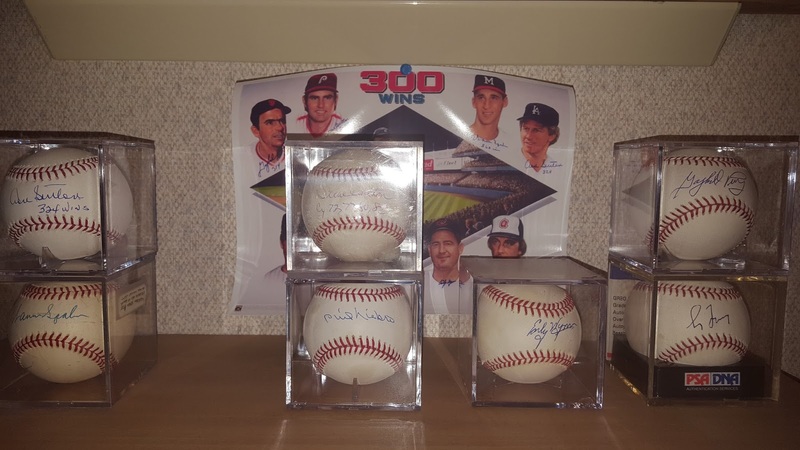 My single signed baseball collection of 500 Home Run Club members is now up to 15 and my 300 Wins Club collection is up to 7. 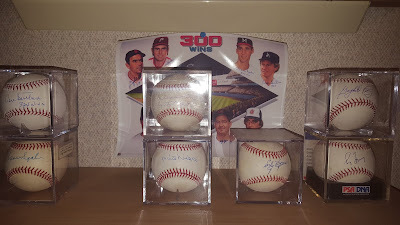 I have grown my Notre Dame football collection, adding autographed items of Joe Montana and Joe Theisman to name a few. I completed the master set of the 2013 Upper Deck Notre Dame Football product. I have really started enjoying collecting entertainment trading card sets of my favorite movies and TV shows. Among these are numerous Marvel titles from recent movies. I have also started a vintage wax pack collection of classic non-sports trading cards. And of course, I continue to add to my Chicago sports collection with the Chicago Blackhawks being the most prominent. 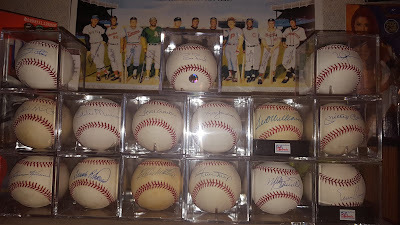 As far as current bloggers whose work I really like, one stands out above all; Beans Baseball Card Blog. Keep up the great work! Also a big fan of Autograph Today. Well, that should bring everybody up to speed. 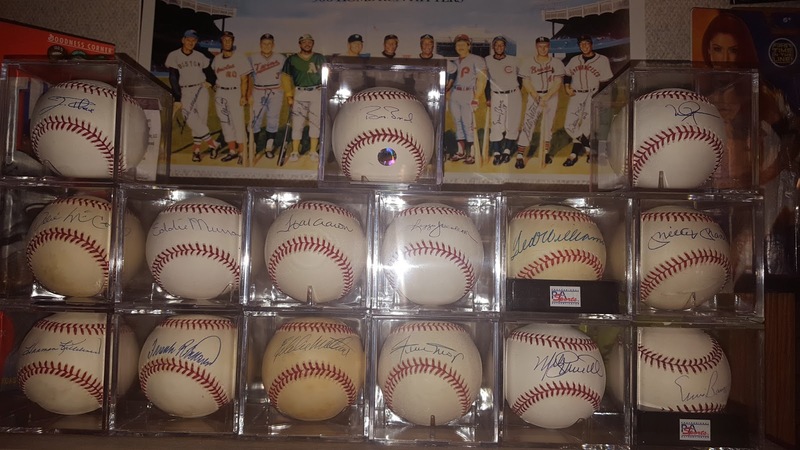 I know it's REALLY lame I haven't posted in over a year, however, I still use my voice about collecting on Twitter, @VOTC and of course the new show. I hope you will check it out.